A great value and eye-catching promotional shopping bag. 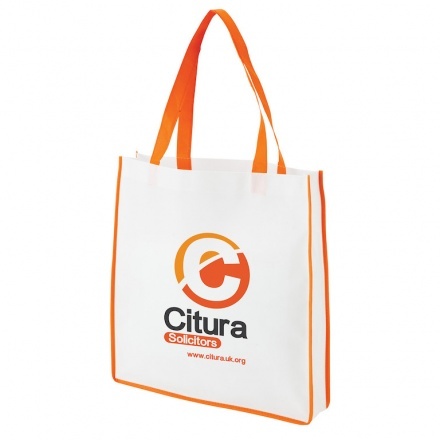 The Contrast Shopper Bag offers a huge branding area for your promotional message. Plus its great looks and brightly coloured trim ensure that the recipient will want to use it again and again.